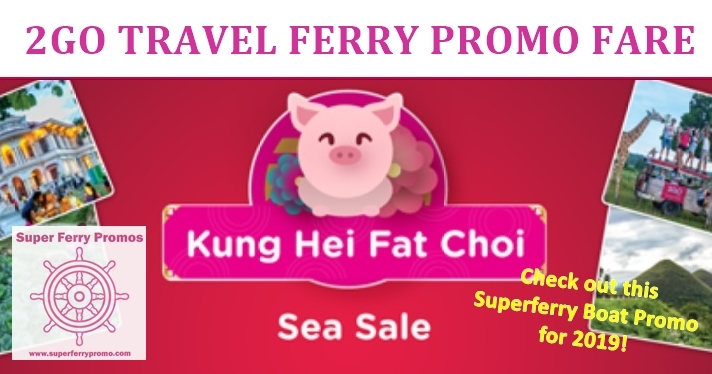 If you have been waiting for a new 2Go Travel boat promo for 2019 then you should really check out this latest Superferry promo fare. 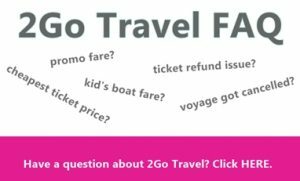 In celebration of the Chinese New Year, 2Go is offering promo ticket prices as low as 600 pesos base fare. 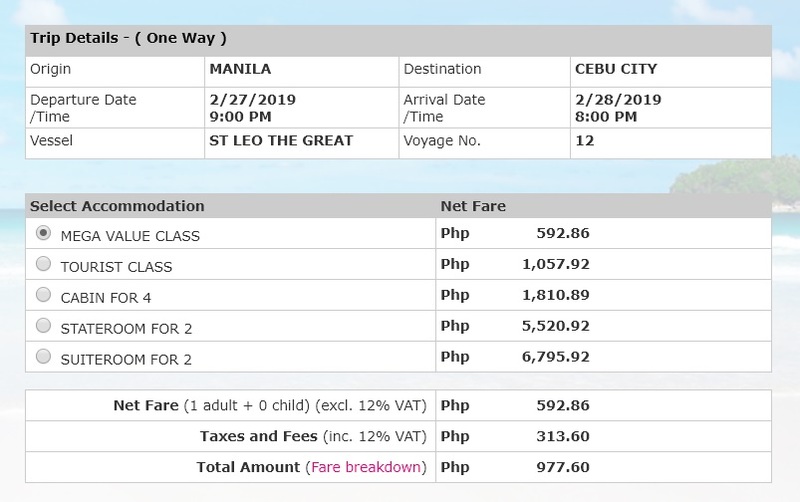 The 2Go promo fare ticket price for Manila to Cebu is only Php 592.86 before taxes and less than 1k all-in! This already includes Meals, Linen and all Taxes and Fees. 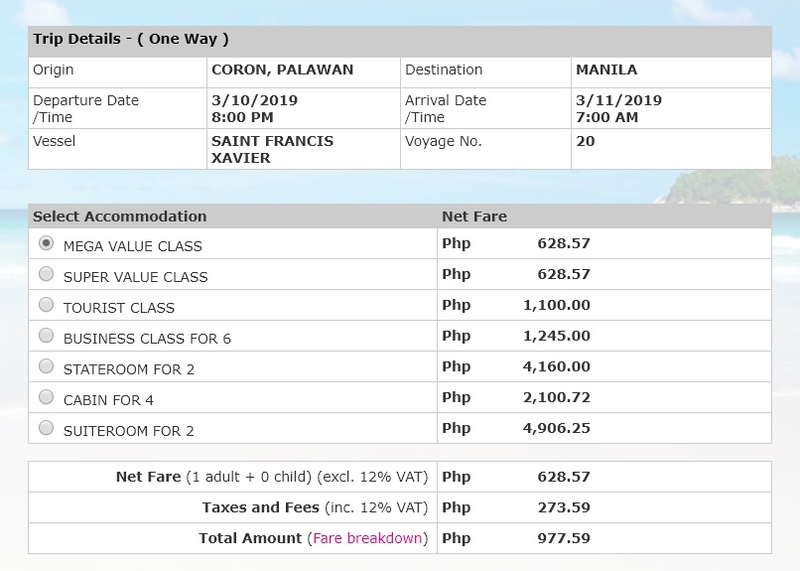 Here’s another sample low Superferry promo ticket rate – Coron, Palawan to Manila is only Php 628.57 base fare and Php 977.59 with all fees included. Check the list of destinations covered by this 2Go Travel 2019 promo below. 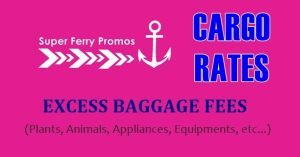 These cheap ticket rates cover sail dates for February 9 to 28, 2019 and March 1 to 15, 2019 and applies to SuperValue and MegaValue accommodation only. Note: The return trip is also on sale. 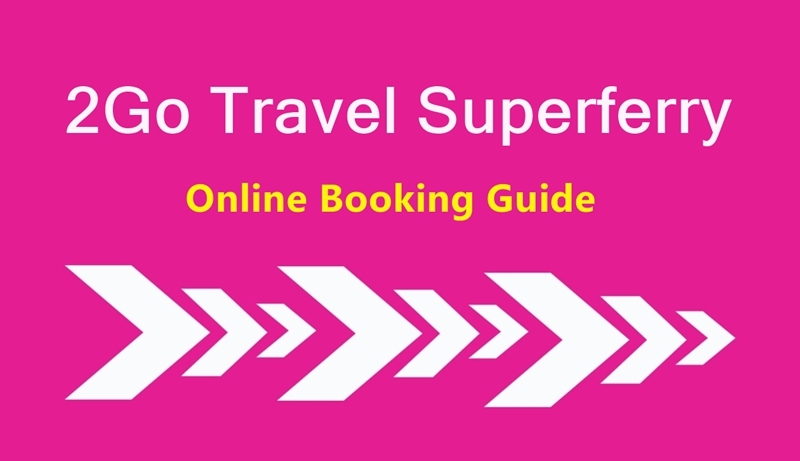 For example – you can book your Superferry promo ticket for Manila to Bacolod for as low as Php 800 base fare and you may also be able to get the vice versa trip Bacolod to Manila ferry price for the same low rate. The quoted amount above are exclusive of service fees. 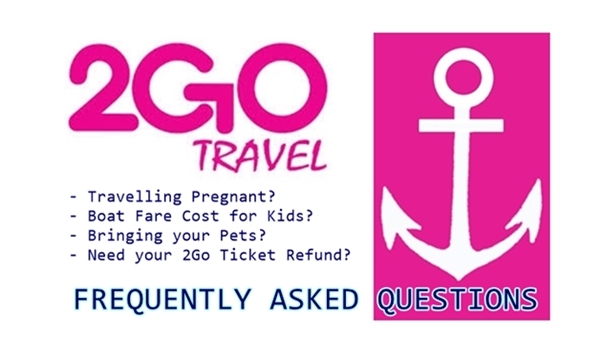 Remember that once you book your 2Go promo ticket, this is non-refundable but can be rebookable with additional fees. You can do your 2Go Travel promo ticket booking only until February 7, 2019 or until tickets on sale lasts. The boat promo tickets and available 2Go schedules may get booked/sold out fast so better book as soon as possible! Like and Follow our Facebook Page to always be updated of the latest boat promos and ship schedules: 2Go Travel Promo Fare 2019 on Facebook. Mron po ba kayong schedule na May? Manila to Bacolod? Good day..may i know how much fare from batangas city to palawan?